It’s beginning to look a lot like Christmas around here! Unfortunately, I didn’t plan ahead and I didn’t get a chance to embellish all of our ornaments. I just hung them all up and yesterday little by little I started to make my plain ornaments, beautiful! Plastic ball ornaments are genius. 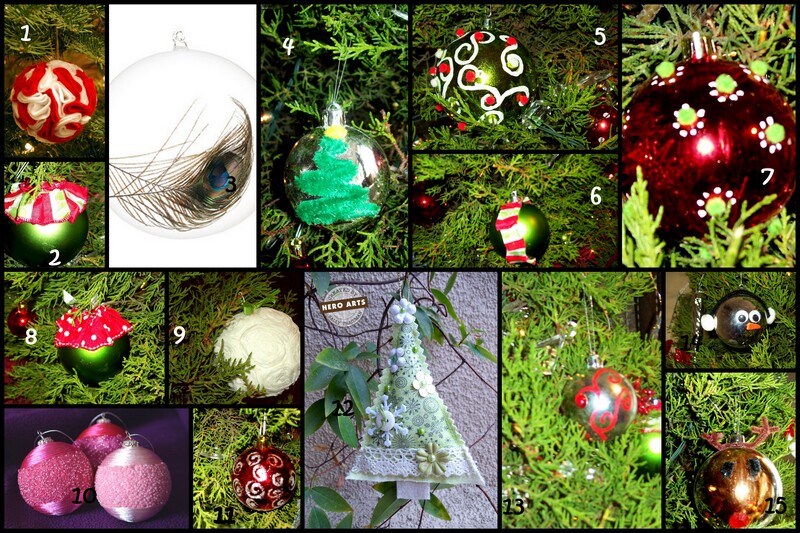 I don’t know how many ball ornaments I broke as a kid because they only made them out of glass back then. You can’t tell them apart so we have invested in the plastic ones. The Thrifty Crafter uses felt to make this rosette ornament. Ribbon glued in ruffle form to the top of a plain green ornament. Real Simple has this lovely ornament with a feather inside it. Using green pipe cleaners glue a tree to a silver ornament. Just a litle red and white painted swirls with small pom poms glued to it. Ribbon ruffled around a green ornament. Small pom poms with painted dots around each one. Ribbon gathered around the top of the ornament. 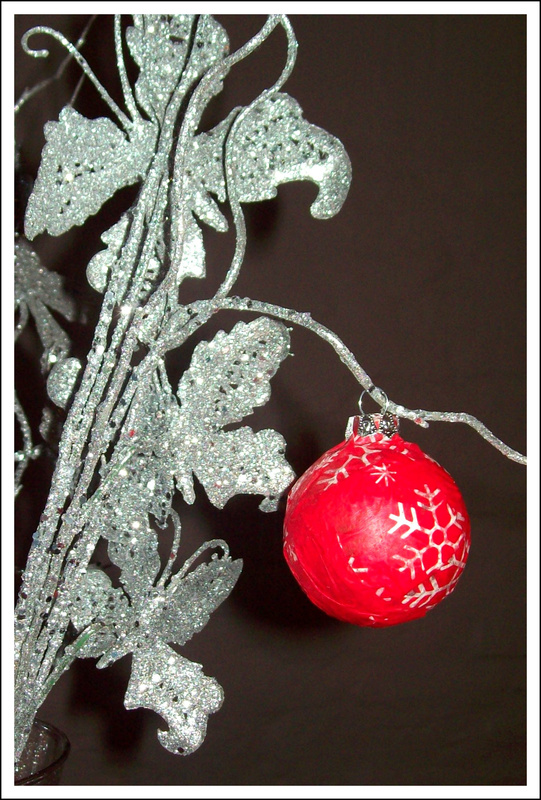 Shabby Chic Rosettes Christmas Ornament– Around a styrofoam ball. Pink beads and thread glued to ornament from Craftster. Glitter glue used to decorate circles around ornament. Fabric tree from Hero Arts. Gems glued with painted design. My favorite Frosty the Snowman using pipe cleaners, pom poms and paint. Rudolph the Red Nose Reindeer using gems, pipe cleaners and paint. Here’s a tutorial for embellishing glass ornaments using napkins.